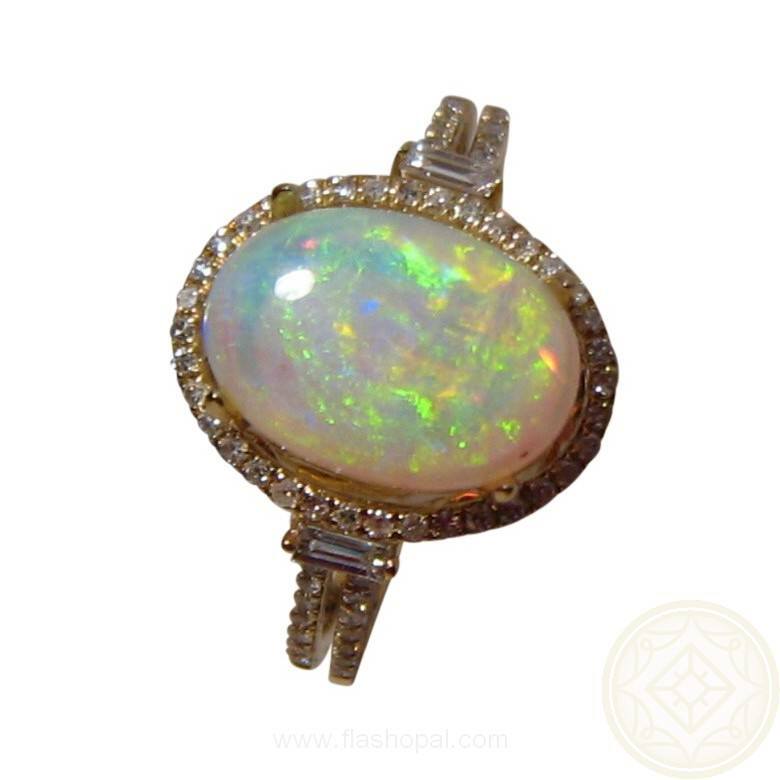 An Opal and Diamond ring with an oval Green Crystal Opal accented with round and baguette Diamonds. In stock and ready to ship. 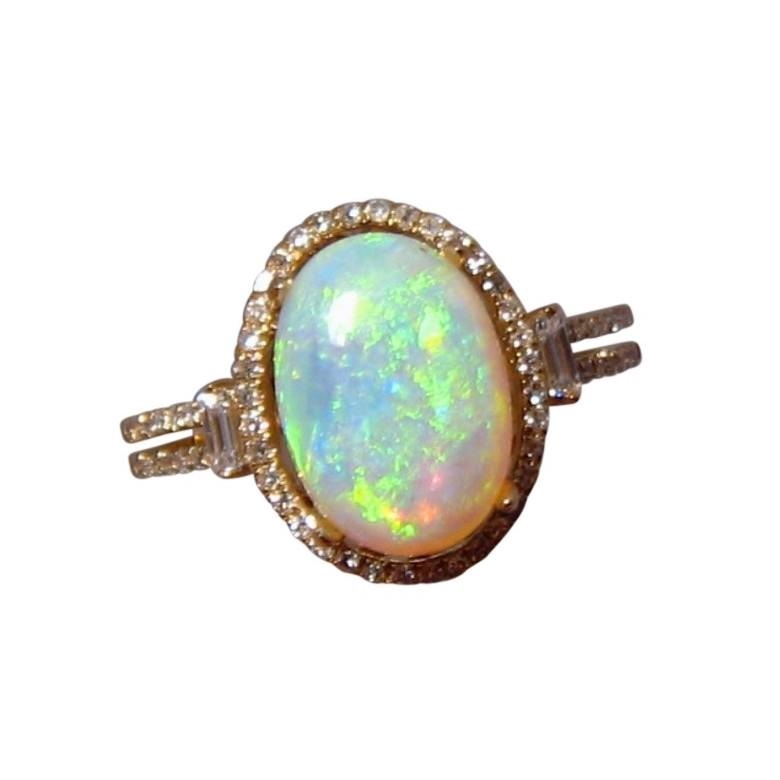 This Crystal Opal Ring with Diamonds can be worn on special occasions or considered for an opal engagement ring. 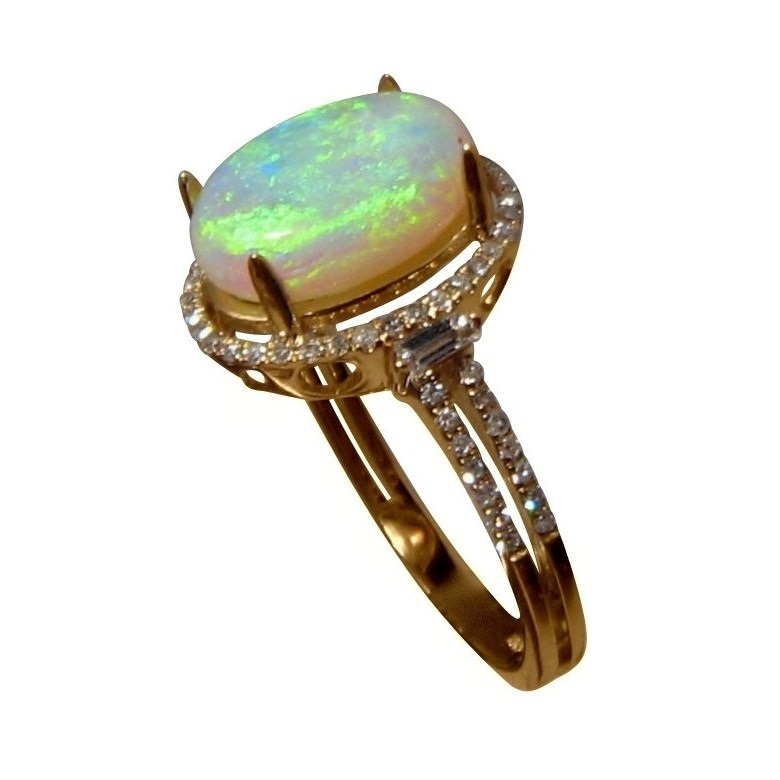 The 14k Gold ring has a halo of small quality Diamonds that surround the Coober Pedy Opal with a baguette Diamond accent on the top of each band and followed by two rows of Diamonds down the band. 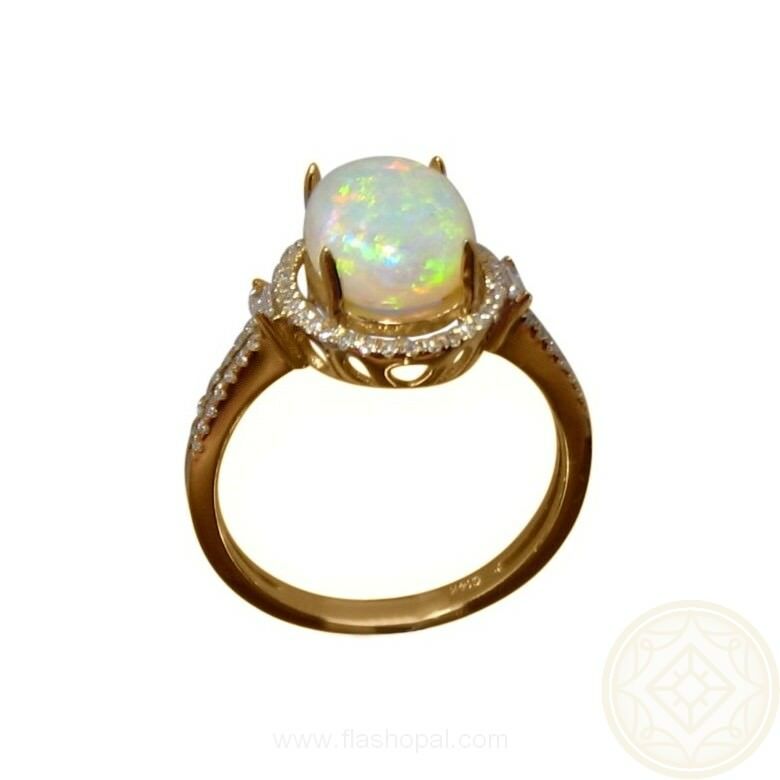 The heart features on the side of the mount allows light to the Opal and Diamonds for maximum shine and brilliance. A good sized Opal at 3 carats with a high dome of 4.8 mm, this elegant Opal ring is ready to ship in 14k Yellow Gold size 8 ¼ or will take about 21 days to make in any other ring size or Gold color. 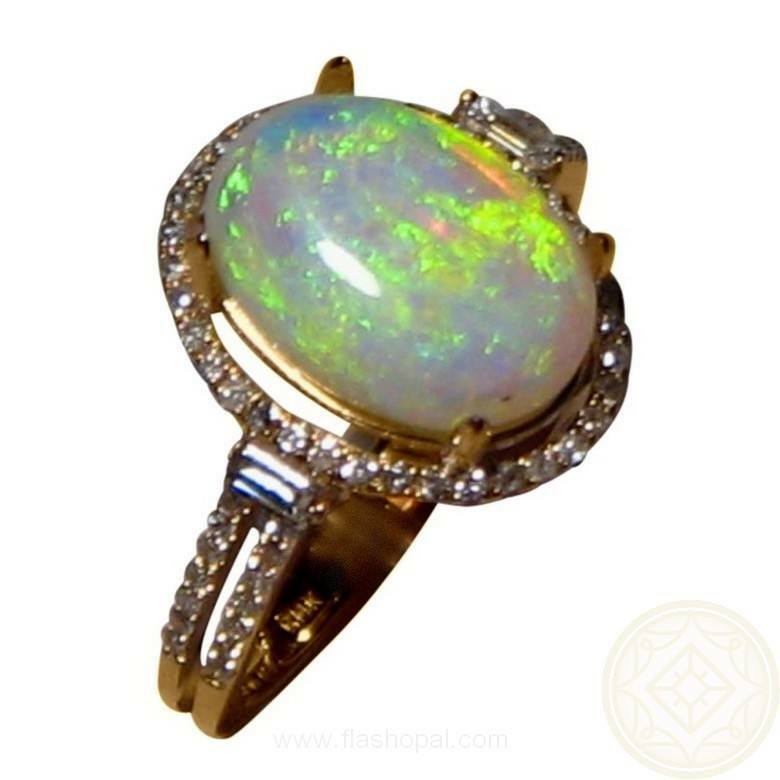 For any inquiries about having this Opal mounted into a different ring or pendant setting, please contact through this product.